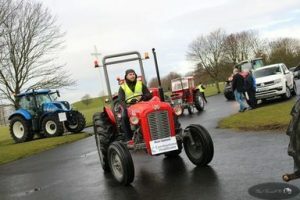 Communicare Healthcare are the main sponsors of a special two day charity tractor run that’s taking place over the Easter weekend. 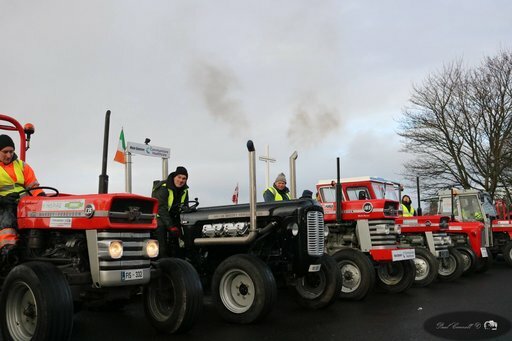 A team of 18 tractors departed from the phoenix park in Dublin at 9am on Friday 30th of March heading towards Mayo and hoping to make a lot of money along the way. 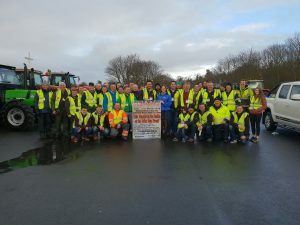 The team taking part will be traveling through Lucan, Leixlip, Maynooth, Kilcock, Enfield, Kinnegad, Mullingar, Ballinalack, Rathowen, Edgwardstown, and Longford. An overnight stay is planned for Feerick’s in Rathowen on Good Friday night. The fleet will take off again on Saturday morning and they have mapped out a route through Lanesboro, Roscommon, Ballymoe, Castlerea, Ballinlough, Ballyhaunis, Claremorris, Knock, Kiltimagh and Bohola before arriving in Castlebar. Breaffy House Hotel will be hosting a celebratory night to mark the completion of the charity tractor run at 8pm on Saturday 31st of March, with a number of special guests being lined up for the party. It’s believed that over 150 tractors could join the run once it leaves the capital. All proceeds from the run and the function will be split between Our Lady’s Children’s Hospital in Crumlin and the Special Care Unit in Mayo General Hospital. A GoFundMe page has been set up to give people an easy way to donate to the cause, you can click HERE to donate. Donation buckets will also be out in some of the towns that the fleet will be passing through, so if you see them, please give what you can – the money raised will make a real difference to the lives of many young children throughout the country. For more information on the event or to enquire about the services we provide, please call 1890 947222. Call us now on +353 1 833 8000 or 1890 947 222 to find out more about our services or to speak to one of our dedicated Client Care Nurse Managers who are on hand to work with you towards developing a unique and individualised care plan, tailored to manage your requirements.